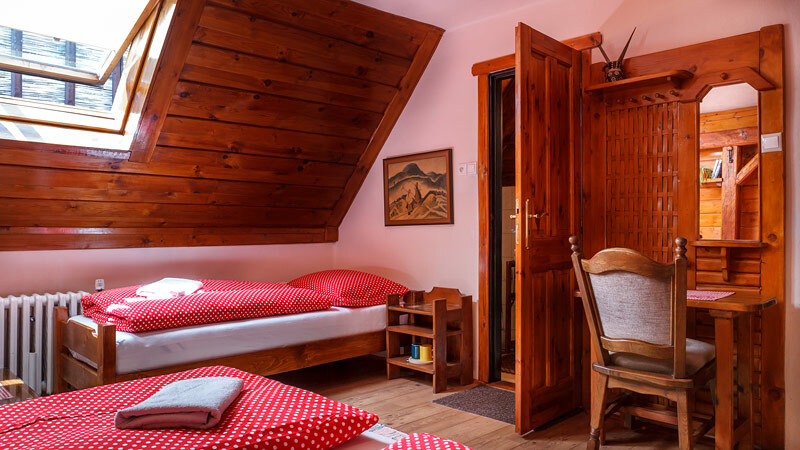 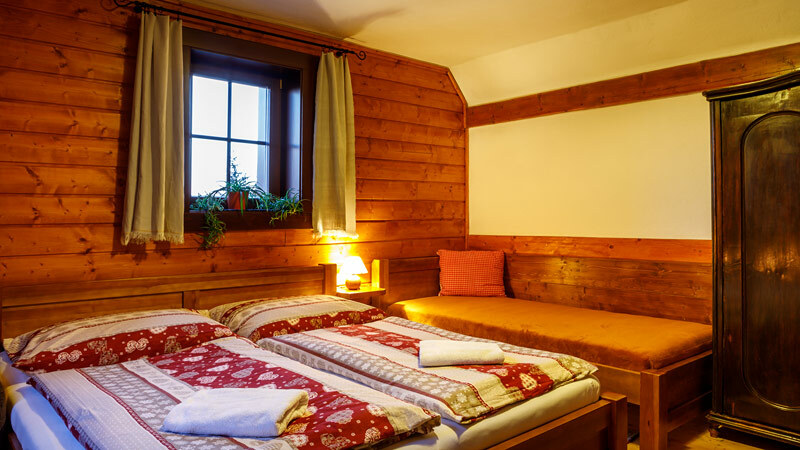 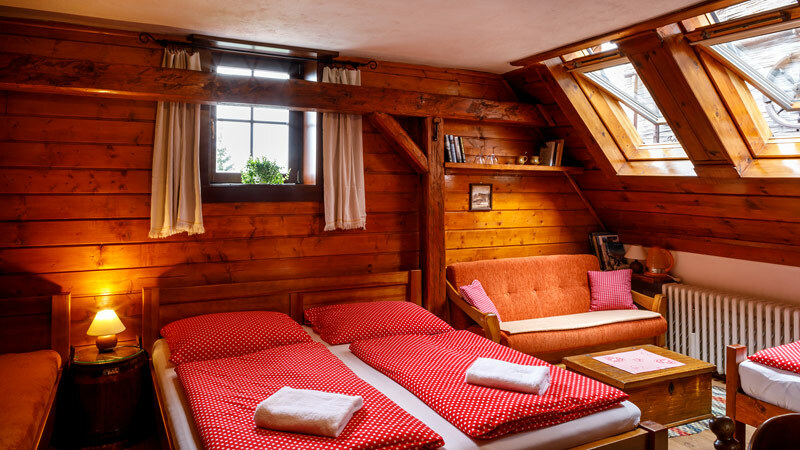 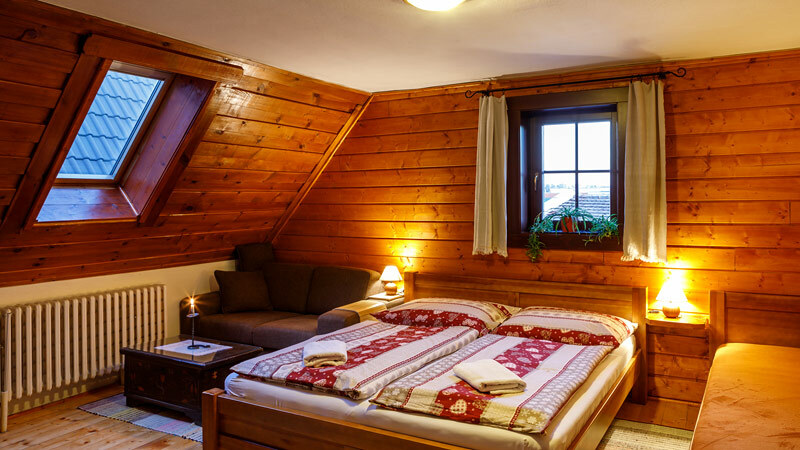 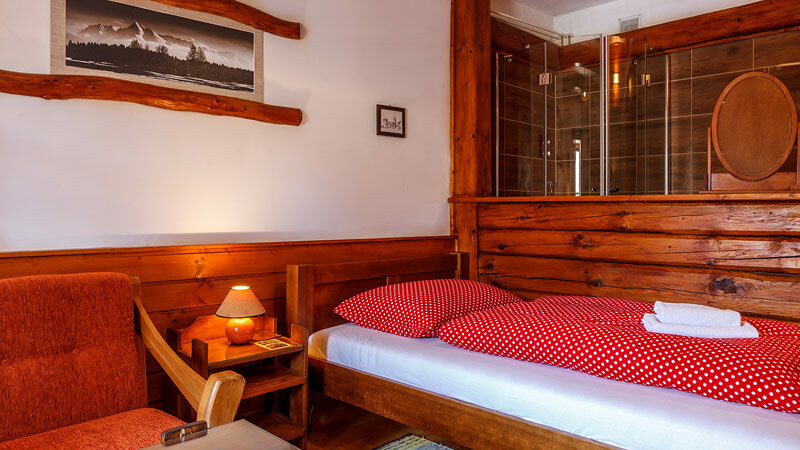 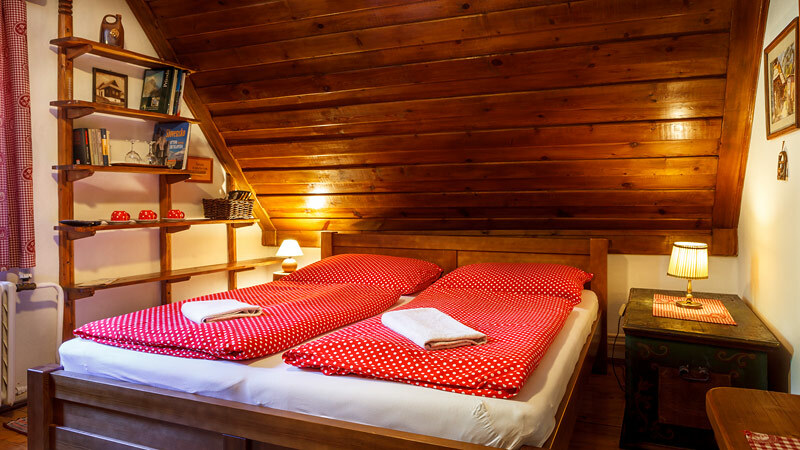 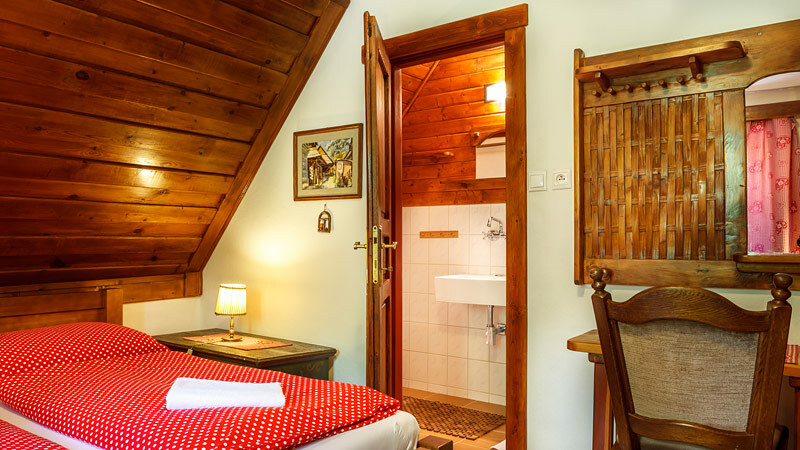 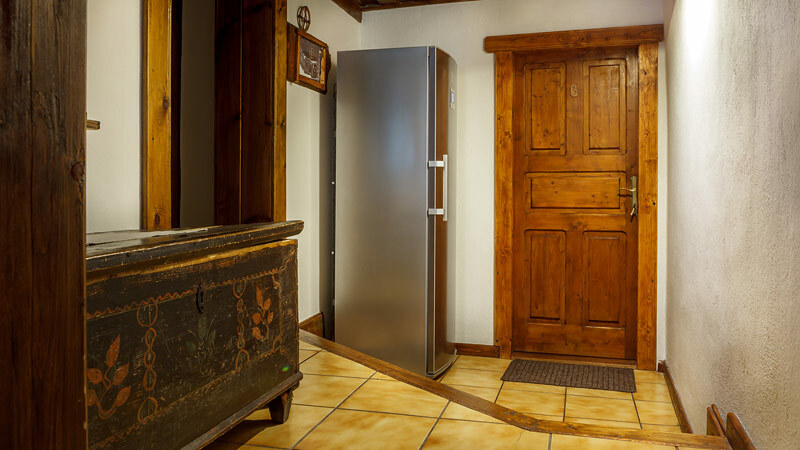 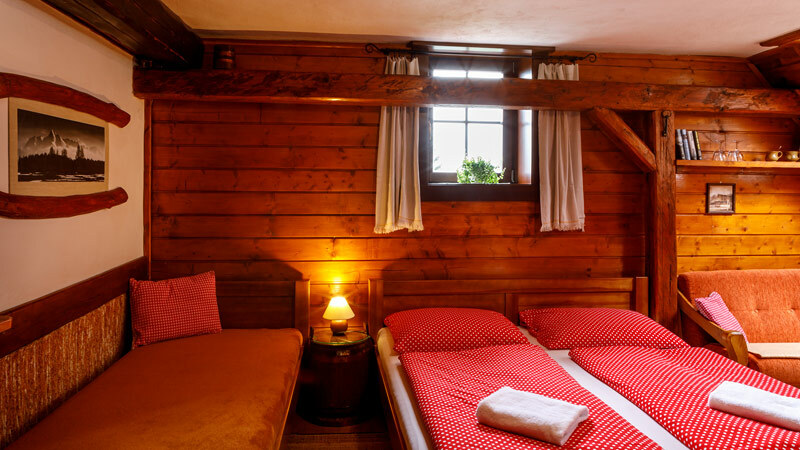 Pension Barborka offers accommodation in five comfortable rooms /two double rooms, two rooms with 3 beds and one room with 4 beds/. 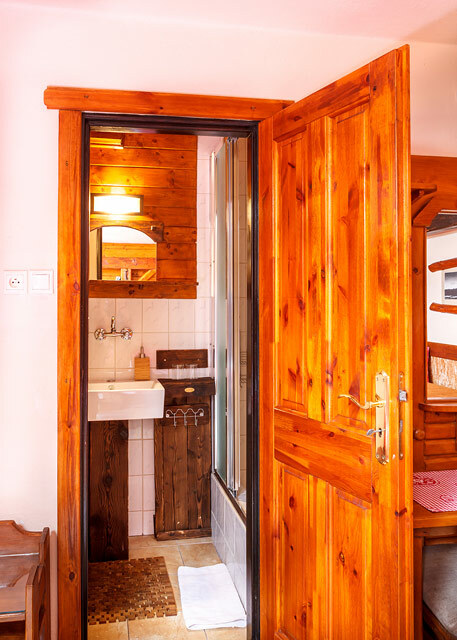 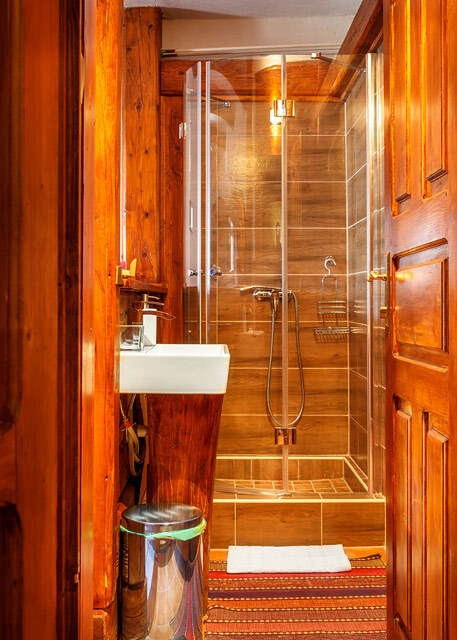 Each room is equipped with bathroom, toilet, TV and radio. 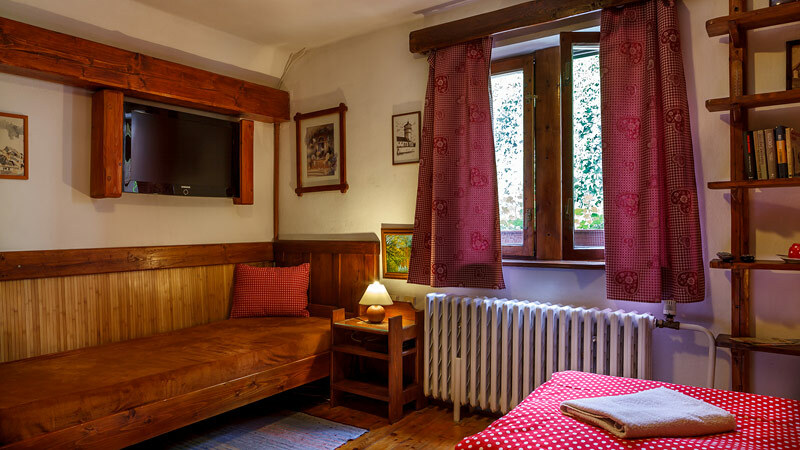 Our guests can relax in several charming rest places in the garden and on terraces as well as inside in the common room with a fireplace and a bar. 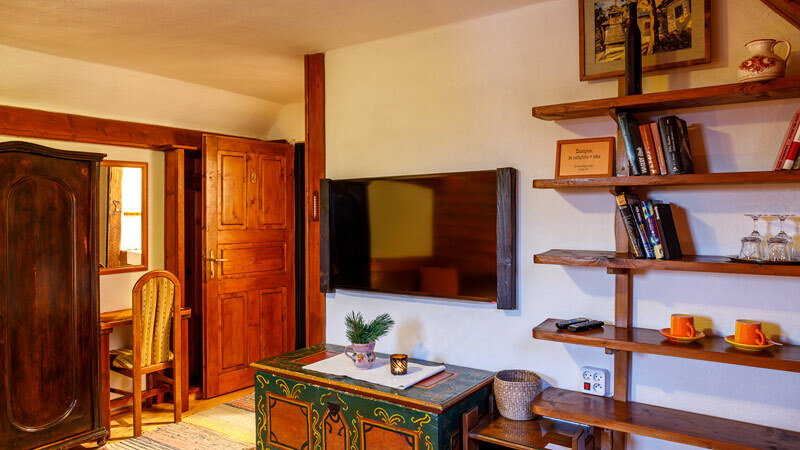 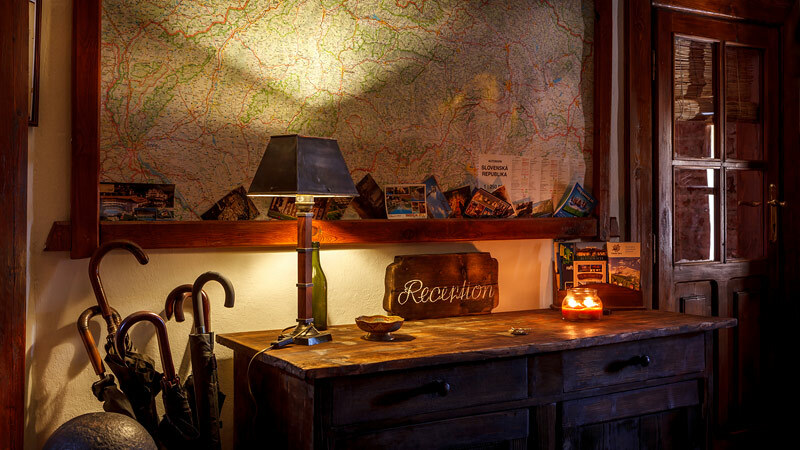 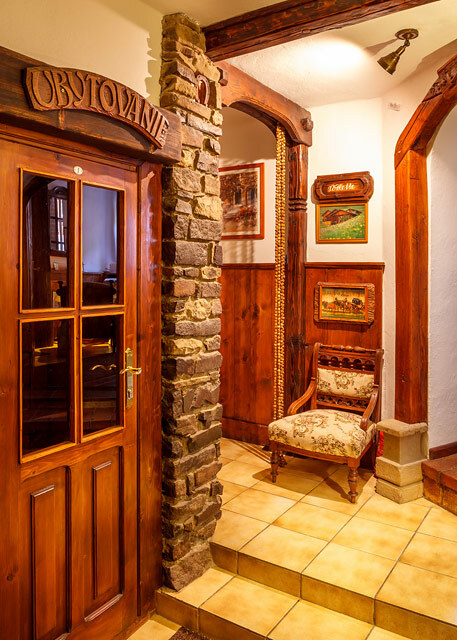 Interior of the pension corresponds with historical surroundings and offers for show a collection of interesting historical articles exposed in its premises which help to create an incommutable atmosphere. 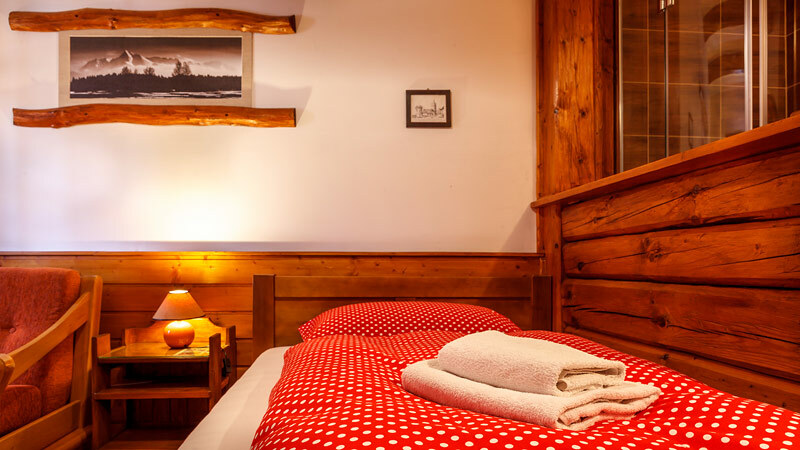 We believe that you will feel pleasurably with us and you will never be bored. 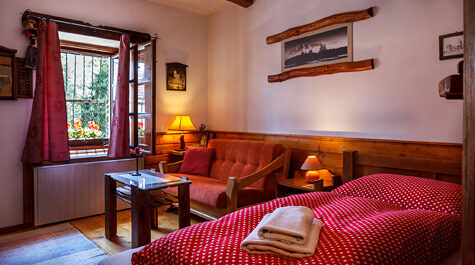 Our guests are offered to park their car on the free protected parking places in the yard belonging to the pension.